Axles/Tires/Wheels Post any Axle/Tire/Wheel components you wish to sell. Detroit Locker 912A584 Detroit Trutrac by Eaton Performance Limited Slip Differential for 27 Spline Dana 30 with 3.54 and Numerically Lower Gear Ratio. Original price $650. Yes this works for the 3.55. You can call Eaton to confirm. As a matter of fact, the next step up in ratio is "3.73 and higher." Why, I don't know. Call Eaton. If you have a Dana 30, 3.55 (or lower) open diff on the front of your Jeep, this mechanical limited slip carrier (case) is a beautiful thing. Turns both wheels when you need it. Has no impact on street manners. Due to miss-information provided to me, and my lack of reading, I re-geared my Jeep XJ to 3.55. I have now re-geared again. This Truetrac was installed in my XJ for approximately 1,000 - 1,500 miles. Truetracs are Torsen carriers. The same style of differential carrier that is used in Military Humvees. They work like a clutch based limited slip, but are gear based. Plus, Truetracs do not require expensive synthetic oil (Eaton recommends against it) nor friction modifier. The clutch packs in clutch style limited slip carriers last 20 - 40 thousand miles. A Truetrac will last the life of the vehicle. PM me to manage transaction. PayPal or cash. 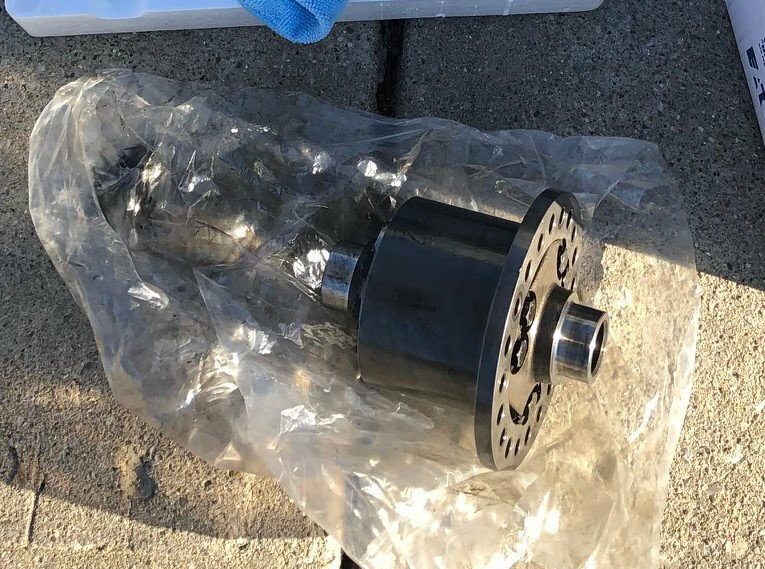 Jeep Detroit TrueTrac LSD for dana 30?